This is my last week of freedom before classes begin. I’ve been doing a little lifeguarding and BodyPumping, but mostly I can just sit around. It’s also given me the opportunity to watch The Today Show each morning, which keeps getting worse and worse but for some reason I just can’t look away. Way to dig up the big story, Al. Solid journalism. And Savannah Guthrie is basically the reason that women only make 75 cents to every dollar a man makes. I thought girls stopped acting stupid to be cool in 7th grade, but a segment teaching her how to microwave lasagna? Come on. 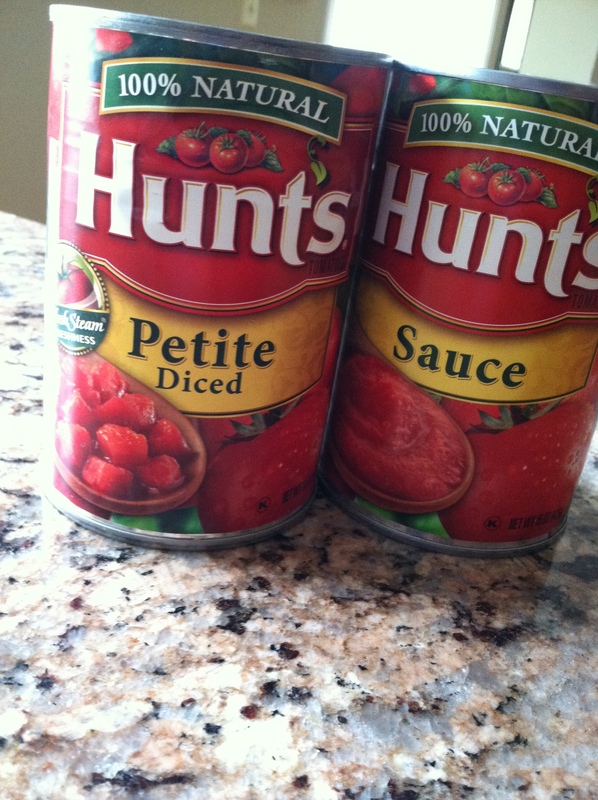 This sauce is so easy, Al and Savannah could pull it off. I wasn’t even planning to share it on the blog, but I probably make it once a week now so I figure it’s worth passing along. Start by putting your pasta water on the stove. By the time it comes to a boil, the sauce will be simmering away! Dice the onion, and saute in the olive oil with some salt until translucent. 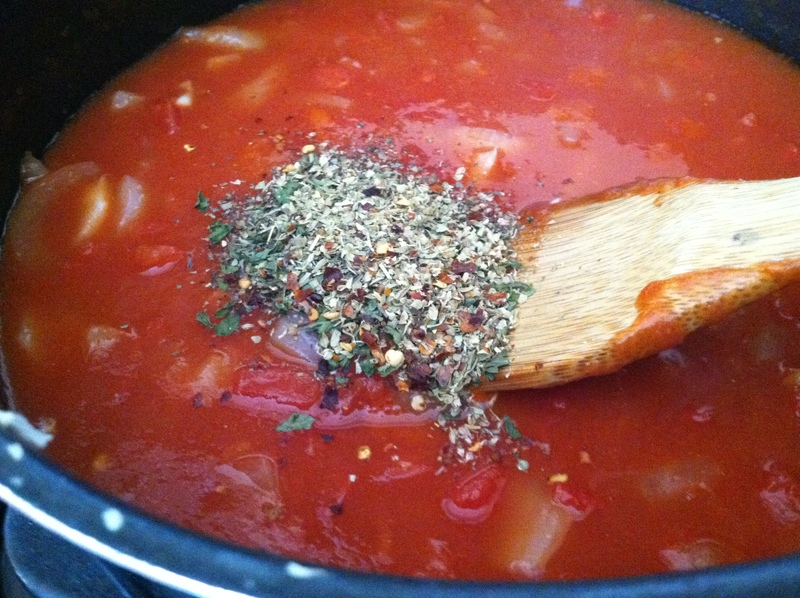 Add the garlic and cook for another minute or two, then add the diced tomatoes and tomato sauce. I typically add about half a can of water, as well. Stir together. Add the sugar and spices. I don’t measure these things so this is more of an estimate- but I definitely add more oregano than basil and parsley, and just a pinch of the crushed red pepper flakes. You can also use an Italian seasoning spice mix. Stir occasionally over medium heat. Once the water comes to a boil, add a healthy handful of salt and cook the pasta to al dente. 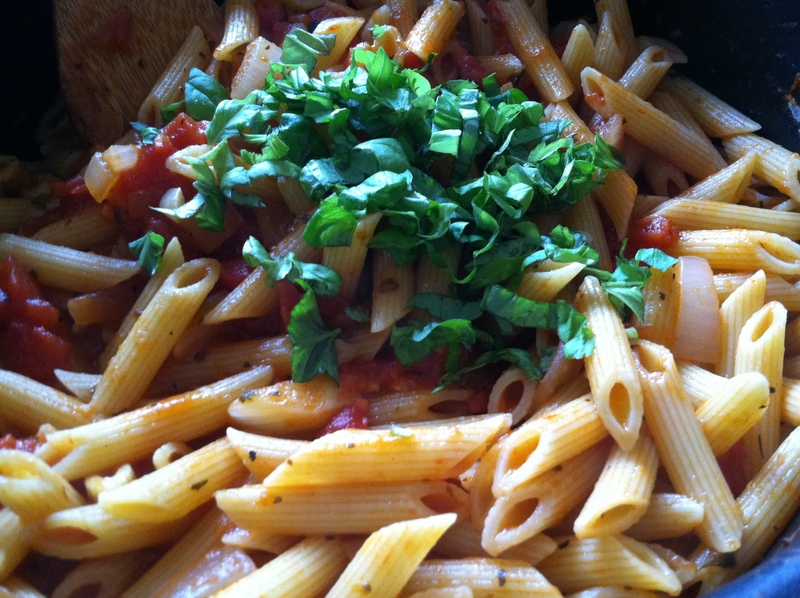 Once the pasta is cooked, turn off the sauce and add the drained pasta directly in the pot. 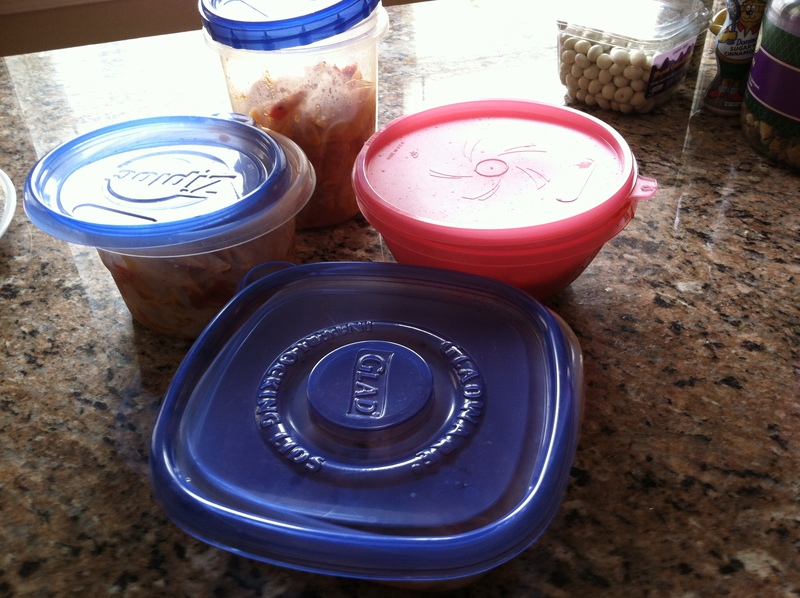 This reheats exceptionally well, so I typically put most of it into tupperware containers for future dinners, or send it with the GS for lunch. If you have fresh basil on hand, throw in a little chiffonade to make things fancier! No excuses for jarred sauce! Or microwaving lasagna. Grrr.